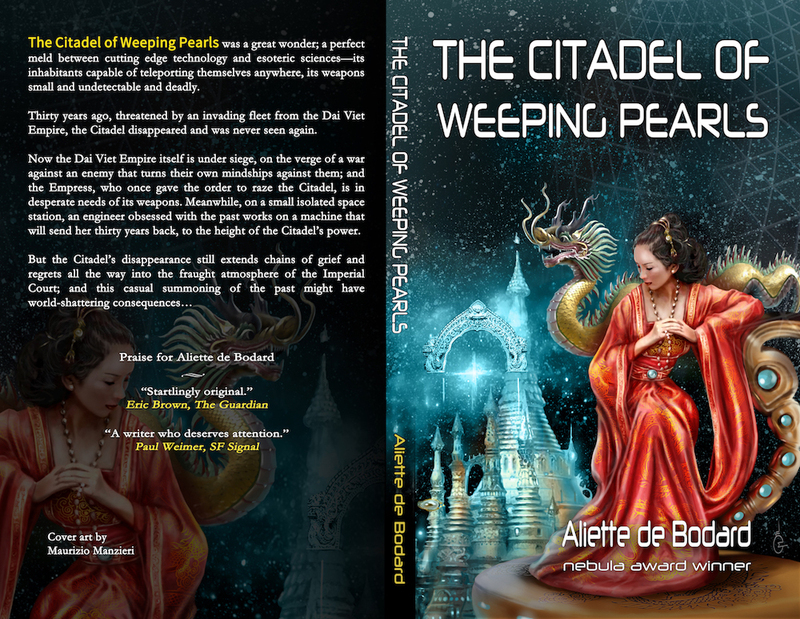 Available now as a standalone book, The Citadel of Weeping Pearls, a space opera set in the Hugo-award nominated series The Universe of Xuya. Cover design and layout by Maurizio Manzieri. (Very) loosely inspired by the tale of Chử Đồng-Tử and Princess Tiên Dung, aka “the one-night lake”. And about 34k words, for the curious; so genuinely more of a short novel, a similar length to On a Red Station, Drifting. Also featuring the reappearance of Linh from On a Red Station, Drifting. (originally published in Asimov’s, Oct/Nov 2015 issue). The soft , reedy voice echoed under the dome of the ceiling; but the room itself had changed—receding, taking on the shape of the mindship—curved metal corridors with scrolling columns of memorial excerpts, the oily sheen of the Mind’s presence spread over the watercolours of starscapes and the carved longevity character at the head of the bed—for a confused, terrible moment as Suu Nuoc woke up, he wasn’t sure if he was still in his bedroom in the Purple Forbidden City on the First Planet, or hanging, weightless, in the void of space. It wasn’t a dream. 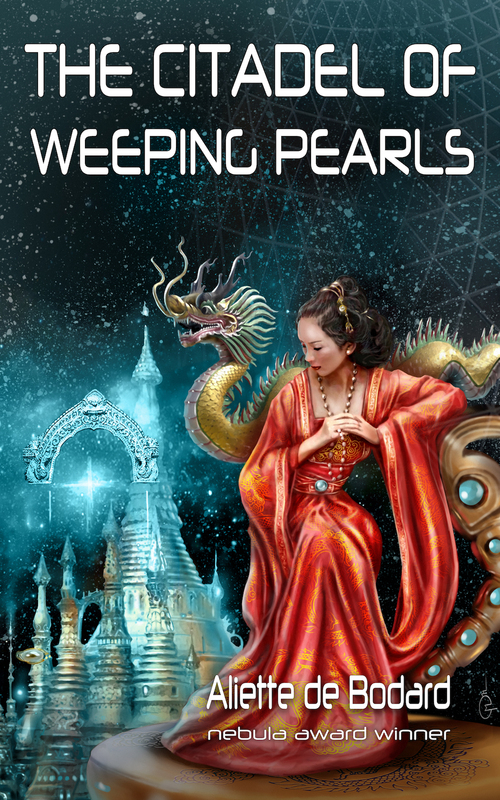 It was the mindship: the Turtle’s Golden Claw, the only one addressing Suu Nuoc with that peculiar form of his title, the one that the Empress had conferred on him half out of awe, half out of jest.